1. You go a whole day without seeing daylight. 2. Your whole day is spent sitting in your room surrounded by bits of paper, books, pens, food wrappers, pro plus & cans of red bull. 3. On every bathroom trip you become more and more disgusted by how you look in the mirror. 4. The bun on your head is getting higher and higher and your hair is getting more and more unwashed. 5. You experience an essay drama -- losing it the night before, deleting half, losing a memory stick! I've been there, done that & got the tear stained t-shirt to prove it. 6. 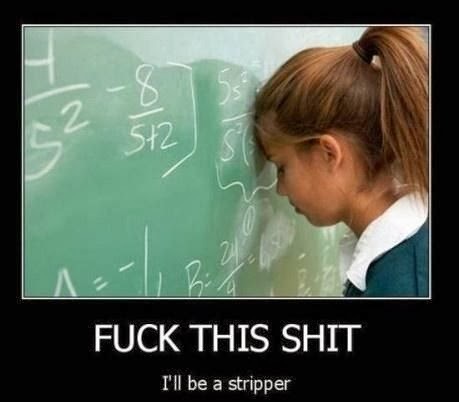 You're seriously re-evaluating your life choices, my options seem to be stripper or to marry rich. 7. you feel so guilty during every tea break, but feel so thankful to get away from the essays even just for a minute. 8. You make endless essay plans and work schedules & stick to none of them. 9. You're constantly twitching from the amount of caffeine thats making its way through your body. This is basically me every essay season(? ), I quite frankly become a mess. I'm yet to learn from the mistakes of previous years & continue to get myself into an endless black hole of stress and emotion. 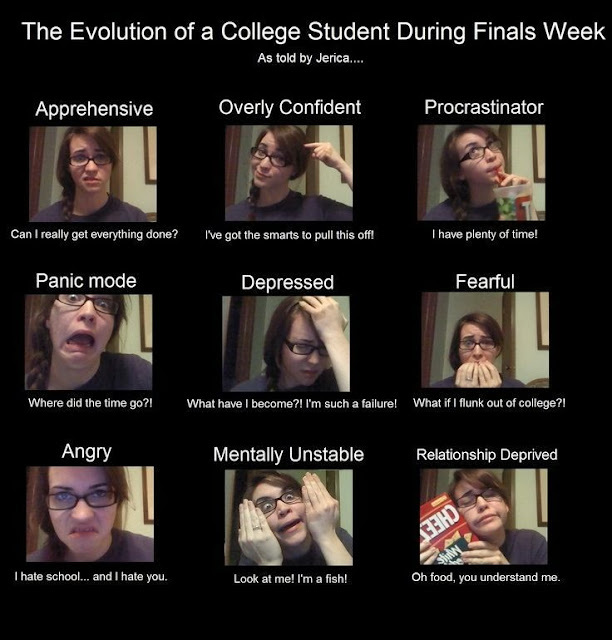 fellow students out there, do these apply to you? P.S. This is a pretty spot on description of whats been going on in my mind this past week. This is me EXACTLY this week.